What Do You get from the World's First Mac Blu-ray Player? 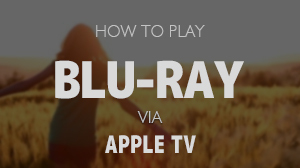 The simple answer of course will be, 'Blu-ray support on your MAC'. It might sound simple but it is a history changing fact. Apple hasn’t included Blu-ray support on their machines yet and it seems like they don’t even intend to do it anytime in the near future. While on the other hand, the battle of optical disc formats is settled in favor of Blu-ray disks. 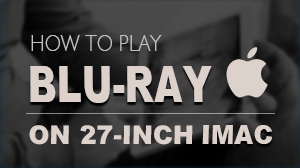 Blu-ray Disc won’t only be the preferred disk format from now on but will also be the only official format. Most new movies are released only on Blu-ray disks; Mac users were quite disappointed at not being able to watch their favorite movies on their Macbooks. Yet, there is always a light at the end of the tunnel, and Macgo has just shown the very first glimpse of that light. Mac Blu-ray player is the world’s very first media player which will support Blu-ray on PCs as well as on Mac. This means, you won’t have to take your Blu-ray player along to watch your favorite new movie on the go. Being the world's very first Blu-ray player is not the only catch here. 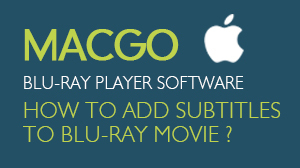 Mac Blu-ray Player is a complete universal package with a lot of exciting features in it. Other than being the very first player to support Blu-ray on MAC, Mac Blu-ray Player is also a tool that supports both Windows and Mac. Now, it doesn’t matter what the guys at Microsoft or Apple think about Blu-ray optical disks, you can enjoy the high-resolution entertainment right on your system’s screen. Installing different programs for different applications can be really frustrating for both Mac and PC users. With Mac Blu-ray Player, you won’t have to dump several different types of media players on your system. 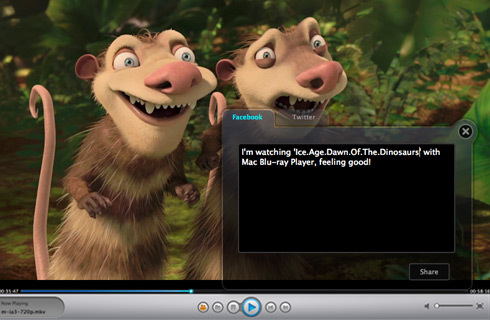 This universal media player allows you to view almost any kind of media including pictures, movies, and audio. So, it’s not just your movie player, it can also be your picture viewer and music player. 'Universal' in a true sense, Mac Blu-ray Player supports almost all formats of video, audio and images. You will be able to play DVDs and many other formats including VCD, MOV, FLV, WMA, MPEG, alongside others. Moreover, it supports all the audio codecs, especially three lossless Bluray codecs. This not only ensures the high quality viewing experience but also a theater like surround sound audio. What does everyone want to do after they have watched an amazing movie on outstanding Blu-ray quality? They want to share their experience with their family and friends. Mac Blu-ray player makes it as easy as updating your Facebook status or posting a tweet. Actually, it is much easier as all it needs is the click of a button.